Above: The festive décor and dramatic lighting set the tone for an action-packed evening. Celebrity Fight Night 2018. One of the nation’s most legendary ballad singers and composers will be performing at one of the country’s most renowned charity events. 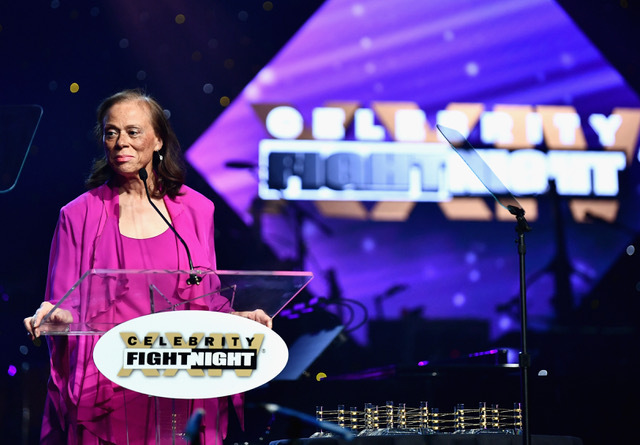 Make plans to attend as Barry Manilow performs in front of special guests, celebrities and VIPs at Celebrity Fight Night 2019. Now in its 25th year, celebrities, dignitaries and professional athletes from all over the world will unite for an action-packed evening filled with musical performances by many of today’s hottest stars. The black-tie event also features a cocktail reception, silent auction, elegant dinner and an exciting live auction including one-of-a-kind luxury items and experiences. Above: Reba McEntire will once again host Celebrity Fight Night and David Foster will return as musical director. Celebrity Fight Night 2018. Celebrity Fight Night will take place at the JW Marriott Desert Ridge Resort in Phoenix on Saturday, March 23 . 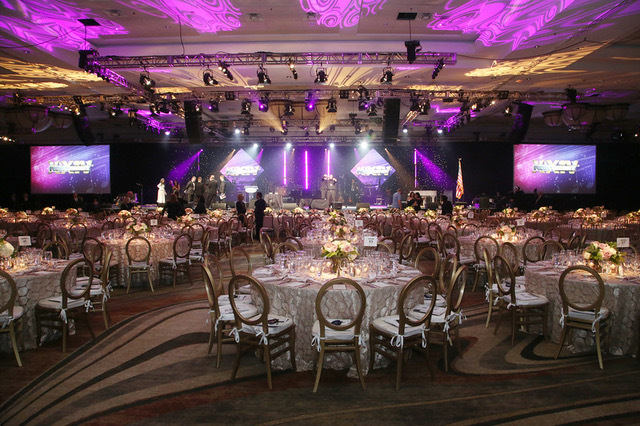 Red-carpet festivities will start at 5 p.m. All proceeds raised will support the Alzheimer’s and Memory Disorders Program at Barrow Neurological Institute, as well as several other charities. One out of 20 people at the age of 65 will have Alzheimer’s. That number increases to one out of three when a person reaches the age of 85. The medical professionals at Barrow’s Alzheimer’s Program and Muhammad Ali Parkinson Center are housed in the same area and are working diligently and collaboratively to find cures for both diseases.The Barrow program is actively involved in researching and testing promising new treatments and is committed to providing continuing care and counseling to Alzheimer’s patients and caregivers. For the 15th year, Grammy Award-winning leading lady of country music Reba McEntire will host. Sixteen-time Grammy Award-winning songwriter and producer, David Foster will return as Celebrity Fight Night’s musical director for his 20th year. 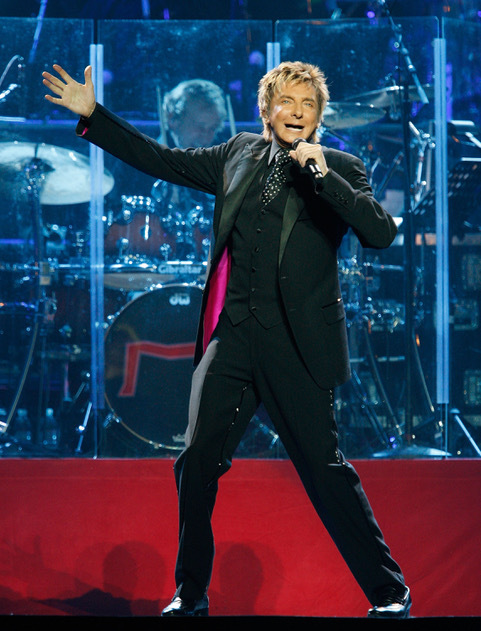 In addition to Manilow and McEntire, other marquee entertainers headlining the event will include contemporary Christian artist Michael W. Smith, actress and performer Rita Wilson, singer Pia Toscano, America’s Got Talent rising star, Angelica Hale, violinist Caroline Campbell and Shawn King. More celebrities and entertainers will continue to be announced. Special honorees for the evening include fabled American music producer and 27-time Grammy Award-winner Quincy Jones, Arizona State University President Dr. Michael Crow and Dr. Abraham Lieberman, the medical director of the Movement Disorders Clinic at Barrow Neurological Institute. Above: Mohammed Ali’s widow welcomed guests at last year’s event. Celebrity Fight Night 2018.